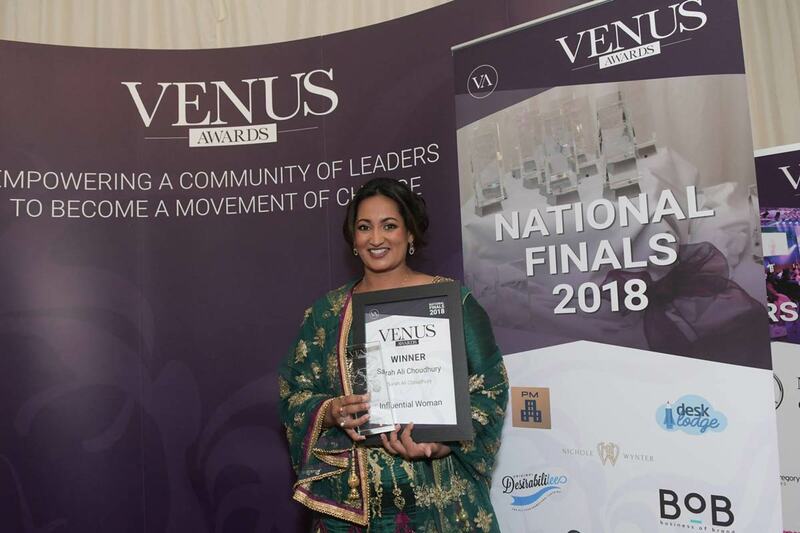 Sarah Ali Choudhury, the award-winning Indian food columnist and TV chef from Dorset, was named Influential Woman of the Year. Sarah won Influential Woman of the Year at The Dorset Awards in November and has now gone on to win nationally, coming out on top against all the other regions. She recently won the national title at the Venus Award National Finals held at the Audleys Wood Hotel. The national win has been the cherry on top on what has been a great year for the chef, proving once again the influence she has both regionally and nationally. The Venus Awards applauds and rewards working women to celebrate their achievements. Sarah is not only a figurehead for women in business but is also the youngest Asian woman to run her own restaurant at the age of just 20.